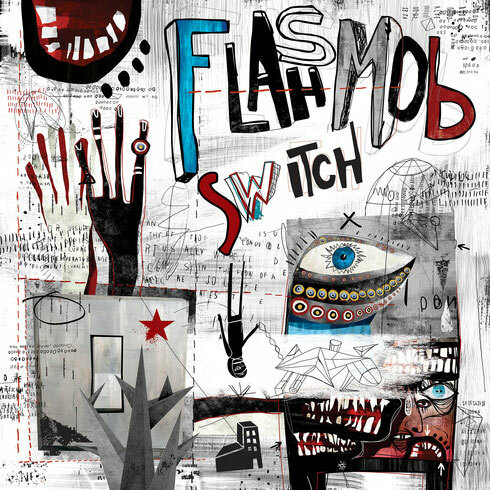 Flashmob’s new EP entitled ‘Switch’ just dropped on Audiojack’s Gruuv imprint, featuring three originals and a remix by Hobo. Since making his debut on Get Physical back in 2011, his music has amassed millions of views online, topped numerous charts, and been released on Defected, Connected and Objektivity, while his work ethic has seen him launch Flashmob Records the label, which has won support from BBC Radio 1, Skream and Eats Everything. Now, the Italian DJ and producer offers his first release for Gruuv, joining the ranks of Emanuel Satie, David Mayer and Marc Romboy for four tracks of nuanced yet direct tunes. ‘Switch’ gets the EP started with hypnotic organ chords buried in heavy kick rhythms while synths and vocal samples filter in and out of focus, making for a decent opener. Hobo’s remix comes next as he spices up the mix with huge reverbs, before ‘Moaning’ offers a bending electric piano and wayward atmospherics for an immersive listen. It’s then left to ‘My Instinkt’, an energetic number that injects fiery drum programming alongside a jittering keyboard hook.